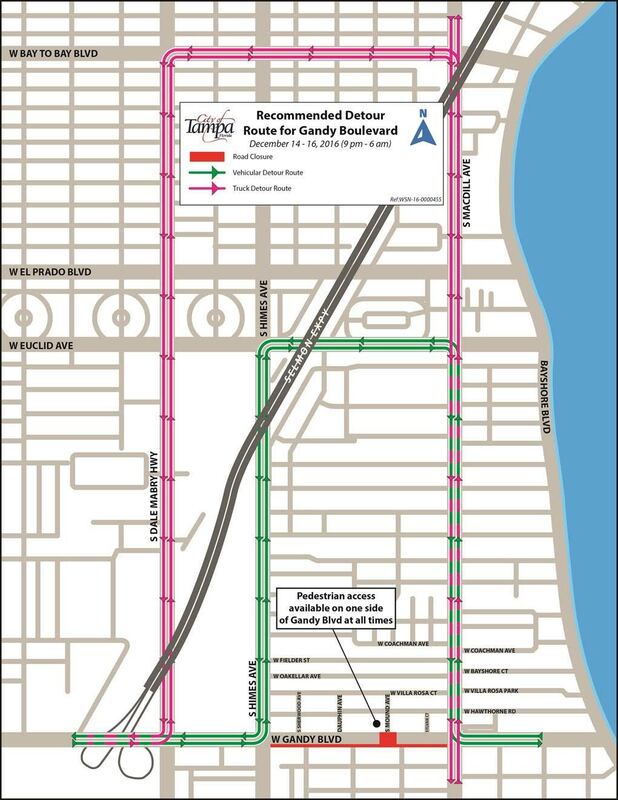 Tampa, FL (December 19, 2016) The Selmon Expressway Reversible Lanes (REL) will open eastbound at 10 a.m. on Friday, December 23rd, and remain open eastbound until Tuesday, December 27th at 6 a.m. At that time, REL will be turned westbound and resume normal operational hours. On Friday, December 30th, the Selmon Expressway Reversible Express Lanes (REL) will open eastbound at 1 p.m. and remain open eastbound until Thursday, January 2nd, at 6 a.m. At that time, REL will be turned westbound and resume normal operational hours. Tampa, Fla. (December 8, 2016) – Gandy Boulevard from Himes Avenue to MacDill Avenue will be closed on Wednesday, December 14, 2016, for two (2) consecutive nights, as part of a Capital Improvement Project. 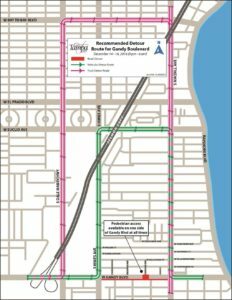 On December 14 and December 15, 2016, Gandy Boulevard from Himes Avenue to MacDill Avenue will be closed at 9pm and will reopen the following morning by 6am, weather permitting. The City contractor will install a new 6-inch water main crossing Gandy Boulevard at the intersection of Mound Avenue. 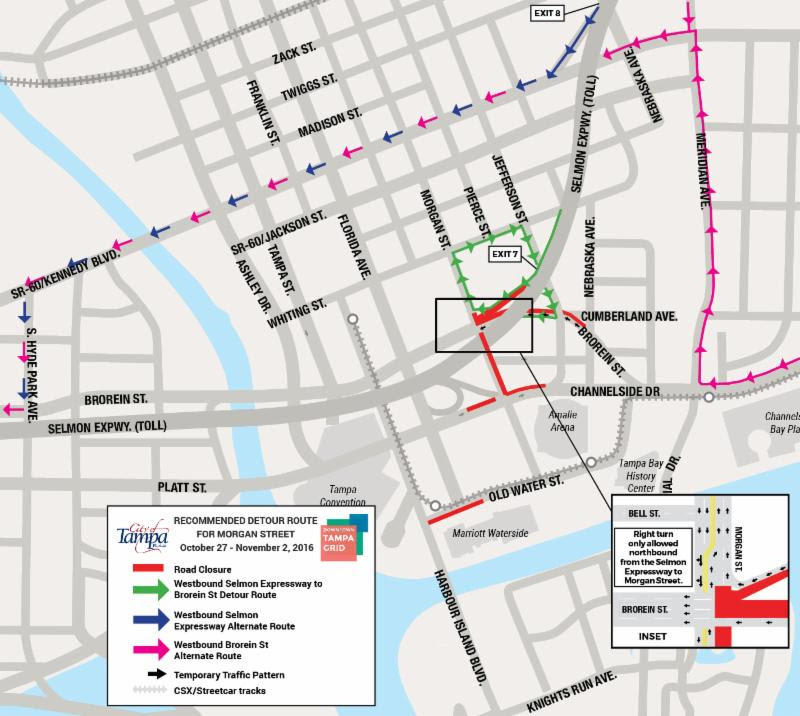 Click to view a hi-resolution map with the City of Tampa’s suggested detour routes. November 28, 2016 Selmon Expressway – The ramp to enter northbound I-75 from the Selmon Expressway will be closed Tuesday, November 29, 2016 from 8:00 p.m. to 5:30 a.m. A detour will be in place. Motorists are urged to use Falkenburg to SR 60 and enter I-75 at the Brandon interchange. The REL will remain open for eastbound motorists. November 17, 2016 – The Selmon Expressway Reversible Express Lanes (REL) will open eastbound from 1 p.m. Wednesday, Nov. 23, and remain open heading eastbound until Monday, Nov. 28, at 6 a.m. At that time, REL will resume normal operations. Motorists are advised that the reversible lane hours are subject to change without notice for maintenance and construction work. Click here to download the media alert. Tampa, November 7, 2016 – EAST & WESTBOUND LANE CLOSURE ALERT – The eastbound and westbound local lanes of the Selmon Expressway from 50th Street to 22nd Street will be closed Monday through Thursday evenings beginning Monday, November 7, 2016, at 8:00 p.m. to 5:00 a.m. for an estimated two weeks. The closure is due to pressure cleaning the Reversible Express Lanes (REL). 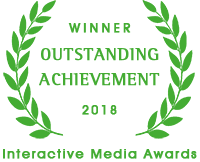 Click to Download Media Alert. PLEASE NOTE – if there is a Tampa Bay Lightning Game only westbound lanes will be closed. November 2, 2016 – For the Veteran’s holiday, on November 11, 2016, the Reversible Express Lanes (REL) on the Selmon Expressway will maintain normal operation at 6:00 AM, with all traffic moving in the westbound direction from Brandon to the downtown area. At 10:00 AM, all traffic will be reversed to the eastbound direction from the downtown area to Brandon. Monday, November 14, 2016, normal hours of operation will resume. Click here to download the media alert. Tampa, October 30, 2016 – NO LANE CLOSURES THIS WEEK – Pressure washing of the upper deck of the Selmon Expressway has been suspended for a week. There will be no lane closures until pressure washing resumes on November 7, 2016. Temporary Lane Closures along Brorein Street for Roadway and Infrastructure Improvements – A portion of the Brorein Street intersection at Morgan Street will be closed beginning on Thursday, October 27, 2016, at 9 a.m. as part of the roadway and infrastructure improvements to support area development. The two northernmost lanes on Brorein Street at the Lee Roy Selmon Expressway Morgan Street exit ramp will be closed until appropriately 4 p.m. on November 2, 2016, weather permitting. The westbound Lee Roy Selmon Expressway (Exit 7) ramp to Morgan Street / Brorein Street will be partially closed. Traffic exiting the Morgan Street (Exit 7) from westbound Selmon Expressway will not be able to continue straight (westbound) on Brorein Street. However, the northbound Morgan Street exit lane will remain open to traffic during this phase of the construction. The City of Tampa recommends that westbound motorists use Kennedy Boulevard from Meridian Street and from the Lee Roy Selmon Expressway (Exit 8) in lieu of Brorein Street to travel westbound through downtown. Additional lane closures in the area along Channelside Drive will remain in effect through summer 2017. 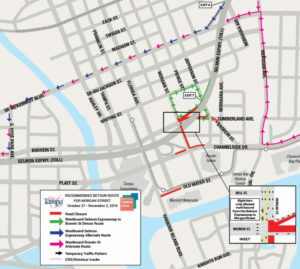 The public can stay connected with the ongoing construction project by visiting DowntownTampaGrid.com. Questions or comments should be directed to the project team by email at [email protected] or by phone at (813) 607- GRID (4743). Download the MEDIA ALERT – Reverse Express Lanes (REL) Closed on Thursday, October 6, 2016, from 12pm-2:30pm. The Selmon Expressway (REL) will be closed Thursday, October 6, 2016, from noon to 2:30 p.m. from downtown Tampa to 301. EAST & WESTBOUND LANE CLOSURE ALERT – The eastbound and westbound local lanes of the Selmon Expressway from 50th Street to 22nd Street will be closed Sunday through Thursday evenings beginning Sunday, September 18, 2016, from 8:00 p.m. to 5:00 a.m. for an estimated three weeks. The closure is due to pressure cleaning the Reversible Express Lanes (REL). Motorist heading west on the Selmon Expressway will exit at 50th Street and use Adamo Drive (State Road 60) to 22nd Street and then reenter the Expressway. The eastbound detour is the same in reverse. The REL will remain open for the eastbound motorists. TEMPORARY LANE CLOSURE – A portion of Plant Avenue from Cleveland Street to Grand Central Avenue will be closed on Friday, September 16, 2016, and Friday, September 23, 2016, for utility construction. TECO contractor will be upgrading the TECO substation on the corner of Plant Avenue and Cleveland Street. For two (2) consecutive Friday’s, one (1) lane of Plant Avenue will be closed from Cleveland Street to Grand Central Avenue between 9am and 2pm, weather permitting. The eastbound on-ramp to the Selmon Expressway at Plant Avenue will remain open. RAMP CLOSURE ALERT – The eastbound Dale Mabry Gandy Boulevard entrances to the Lee Roy Selmon Expressway will be closed September 19, 2016, from 8:00 p.m. to 5:00 a.m. The closure is due to remedial work on the Himes Avenue overpass in the eastbound lanes of the Expressway. For the Labor Day holiday, the Reversible Express Lanes (REL) on the Selmon Expressway will open in the eastbound direction (toward Brandon) at 1:30 pm, Friday, September 2nd and will remain in the eastbound direction until 6 am, Tuesday, September 6th. At that time, the REL will open westbound (toward Downtown Tampa) at the normal time of 6 am. Tampa, June 27, 2016– Since Tuesday, July 4th is a holiday, the Reversible Express Lanes (REL) on the Selmon Expressway will remain in the eastbound direction (toward Brandon) until Wednesday, July 5th at 6 am. It will resume normal operations at that time.